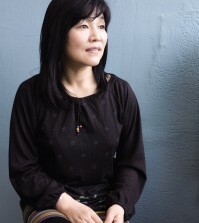 Author Shin Kyung-sook inside the Korean Cultural Center in Los Angeles. 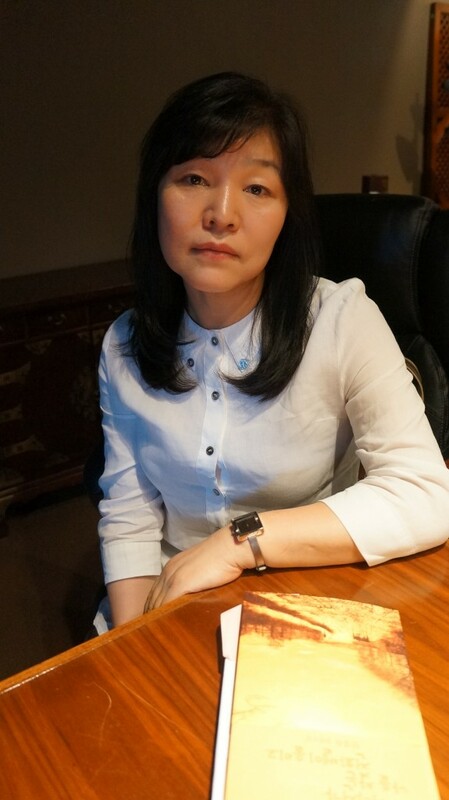 Shin Kyung-sook, one of Korea’s best-selling authors, visited Los Angeles for the release of “I’ll Be Right There,” the second of her books to be translated into English. The pen behind the hit 2009 novel “Please Look After Mom” sat down with The Korea Times at the Korean Cultural Center on Monday night. “Please Look After Mom” was very popular. There’s a nervousness that comes from being a veteran author of 30 years in Korea but a new author who’s only released two books in America. I like that nervousness because it feels like I’m going back to the beginning. I enjoy reading reviews from international press and from readers on Amazon.com. The English edition title and book cover is emotional. When you open the book, the sub-title says, “Should I go over there?” and “I’ll go over there.” Even the publisher in Korea asked about those titles, but at the time we used the first sentence for the title and stuck to “A Phone Calls From Somewhere Looking For Me.” But they asked how I felt about calling the English edition “I’ll Be Right There,” so I said to go ahead. I like it because you don’t forget it after you hear it once. Everyone asks whether the model on the cover is me. It’s not. The American publisher specially recommended the cover. You chose “I’ll Be Right There” as the second book to be translated. It’s been getting good reviews from the press here. I heard American readers felt a sense of friendliness toward the mother in “Please Look After Mom” because she was illiterate. In contrast, “I’ll Be Right There” is about the lives of four young people who live through a tragic era. The theme is completely different, and the situation is different. They requested I write an essay explaining the reason for the gap between the two novels, and I’m planning on it. If you could say a word to Koreans here in the U.S.? Because of our connection as Koreans, I feel a sense of community spirit and that connection when I come out here. There was someone who drove three hours to come and meet me because I’m a Korean author, and someone who said they would give “I’ll Be Right There” to their kid after hearing it was a story about young people. I crossed seas to come here, but it feels to me that no seas exist when it comes to sharing joy and pain. I would like to ask your advice with regards to a recent book I have penned called [Claims in the Oil Gas and Petrochemical Sectors & Loss and Expense, Variations, Extensions of Time and Recovery Systems] known by the acronym COGS & LEVERS. The book was penned after discussions with KDI in Seoul to fulfill an educational shortfall in the University faculties in ROK. I am looking for a reliable and cost effective translator and publisher in Seoul [I will be in Seoul from 9th to 22 July for this purpose). Could you be kind enough to point me in the right direction.